We already know what a cultural phenomenon Banksy has become. He’s gone from a teenage tagger to a well-known artist making multi-million dollar art. His style and message have, ironically, been wholeheartedly embraced by the very type of people he mocks. Celebrities and members of the art world have praised his unconventional pieces. Government officials in some cities have ordered workers to leave Banksy’s graffiti alone despite their normal policy of removing all graffiti. 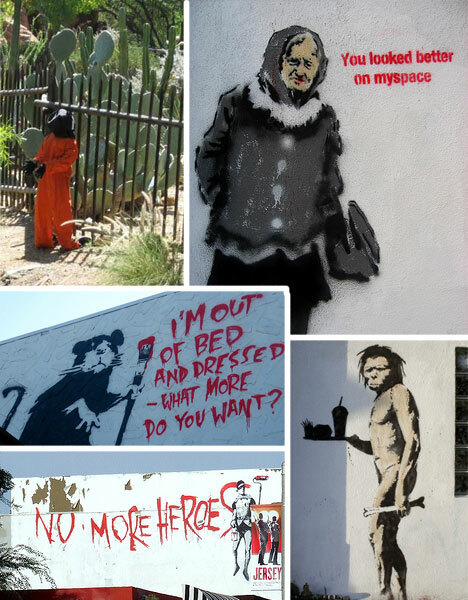 As the buzz around his name grows, so does the number of places where Banksy street art is spotted. 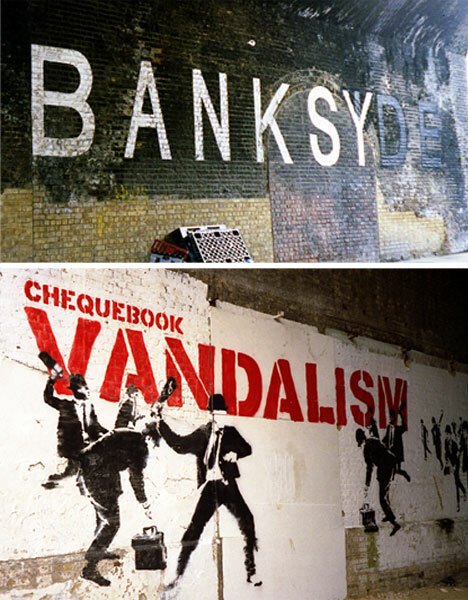 This is part eight, concluding our series on all aspects of Banksy Art and Graffiti. Banksy got his start in Bristol and there are, predictably, still some traces of his antics around the streets. The Bristol City Council, once frustrated with his graffiti, now has a standing order to leave all Banksy pieces where they are rather than removing or painting over them. There’s no telling how many of his early works in Bristol were removed before that order took effect. 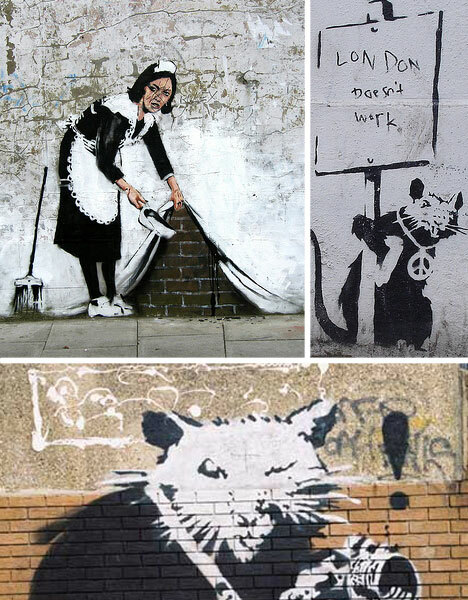 London is one of the best places to go if you’re hoping to spot an original Banksy. New pictures crop up from time to time and are soon surrounded by people with cameras and camera phones, all preserving the work which may not be there tomorrow. Numerous Banksy-centric London maps are available online for those who wish to do some art-hunting on their own. 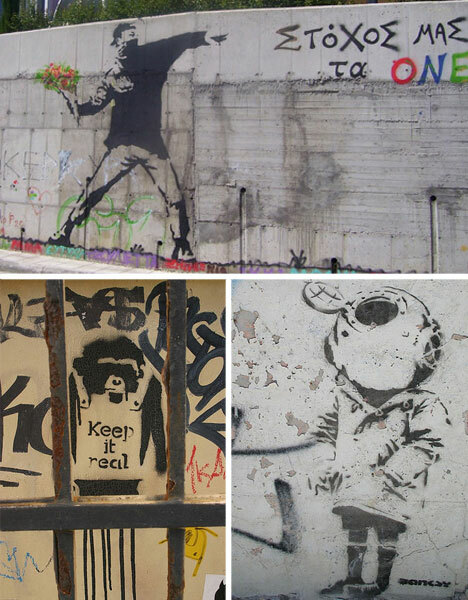 For Banksy fans who prefer to travel in packs, free walking tours are often arranged by members of Banksy forums. Or you could always buy the book and set up your own walking tour. Of course, Banksy doesn’t spend all of his time painting up the English urbanscape. His work has been spotted all around the world. 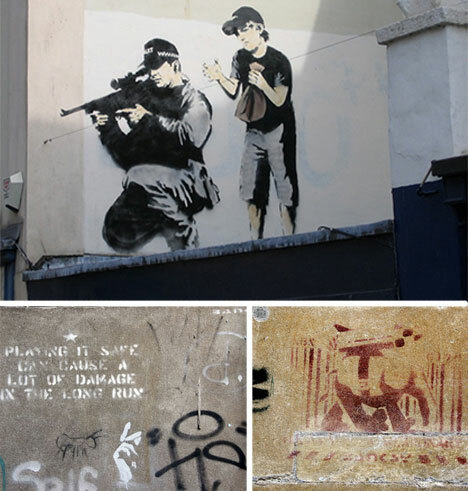 Above are a rare Greek Banksy (top) in Corfu Town, and two pieces painted in Sydney, Australia sometime in 2005. Banksy has been known to hop over to mainland Europe to have a bit of fun. Like when he slipped his own art into the Louvre with the help of a fake beard, a trench coat and an accomplice or two. 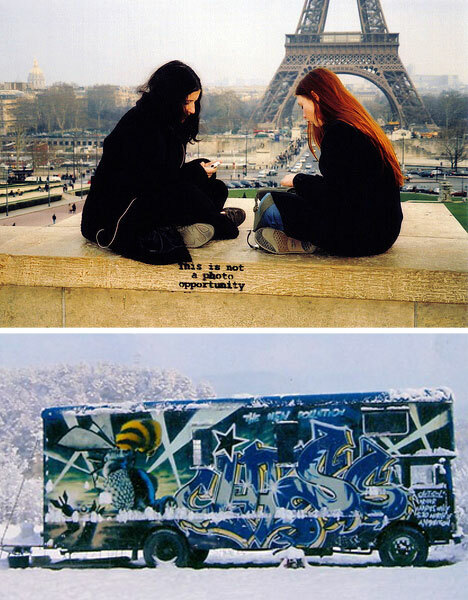 He’s also visited Paris to stencil his now-infamous “This is Not a Photo Opportunity” in an area where tourists flock to take pictures of the Eiffel tower. The truck above was a freestyle painting project that was completed in England but now rests in Spain. One of his most controversial stunts in America was the Guantanamo Bay prisoner inserted into the landscape of a ride in Disneyland. The effigy remained in place for an hour and a half before Disneyland staff removed it. Other works have been spotted on the streets of California in recent years. 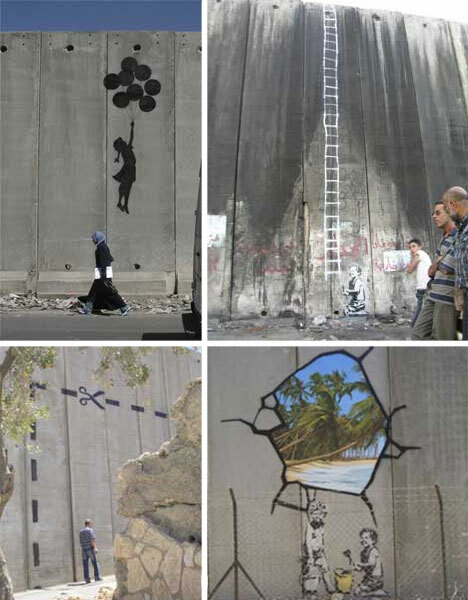 Banksy’s influence can be seen and felt all around the world. Street artists who have never even seen a Banksy piece in person have been inspired by his message and the way he gets it across to people. 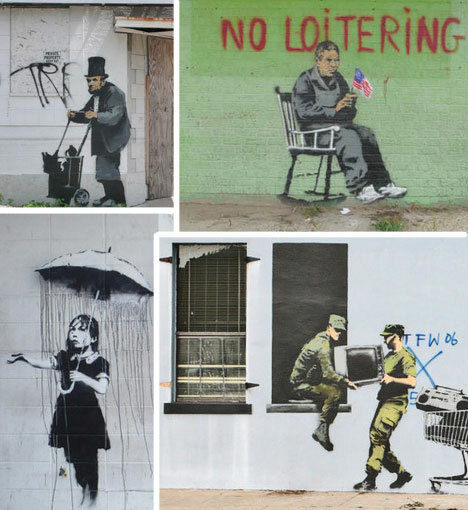 It seems pretty likely that we’ll see Banksy art popping up in even more places around the world in the future.